We're creating a better way to get healthcare. Our Perfect Visit™ is like no other. Start your care on our app. Get instant access to all your care with our web and iOS apps. Chat our doctors or schedule a same-day, no-wait Perfect Visit™. Health records? They're on your phone. Get the app now and start zooming. 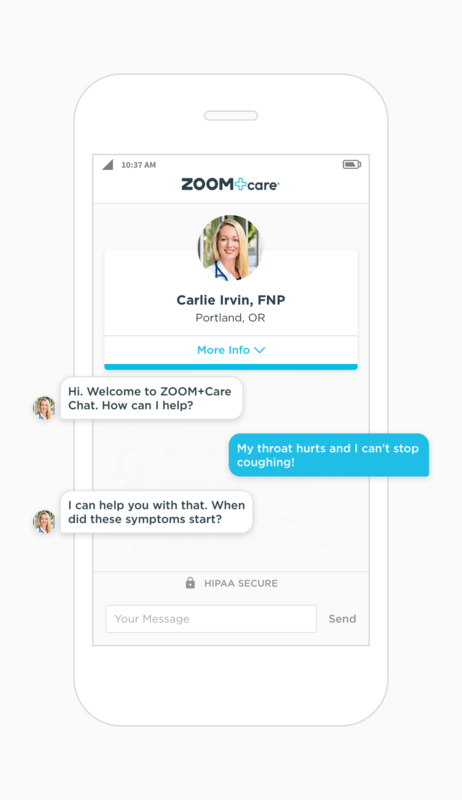 Just start chatting a ZOOM+Care MD, ND, NP or PA. Get your complete diagnosis and treatment. Your doctor will order what you need, including prescriptions and referrals. "@zoomcare rocks! Online chat w/NP over lunch on the road re:sinus infection. 30 mins later I've got a Rx." Come in for illness, injury, and preventative care. Over one thousand on-demand visits are available every day. We are one team of licensed MDs, NDs, NPs, and PAs - all additionally certified by ZOOM+Care. We have everything you need in one place to get you better faster. 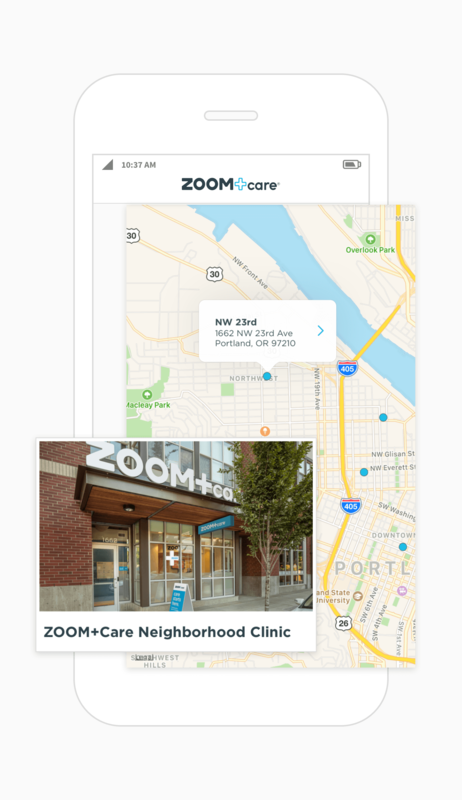 "ZOOM+Care; was so easy to book an online appointment with and the visit was so quick! Staff was awesome. Highly recommend if needing to see a doctor right away!" See our specialists on-demand too! On-Demand Specialists. Need urgent access to dermatologists, orthopedic surgeons, gynecologists, and more? We offer on-demand same day specialist visits too! Our specialist can see you 7 days a week without a prior referral. 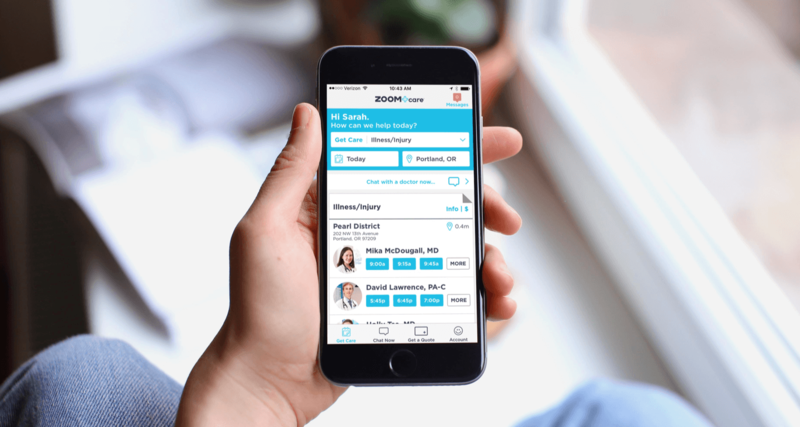 Even better, you never need to repeat your story - all our doctors work together and have instant access to your medical records via our proprietary software. Skip the ER. 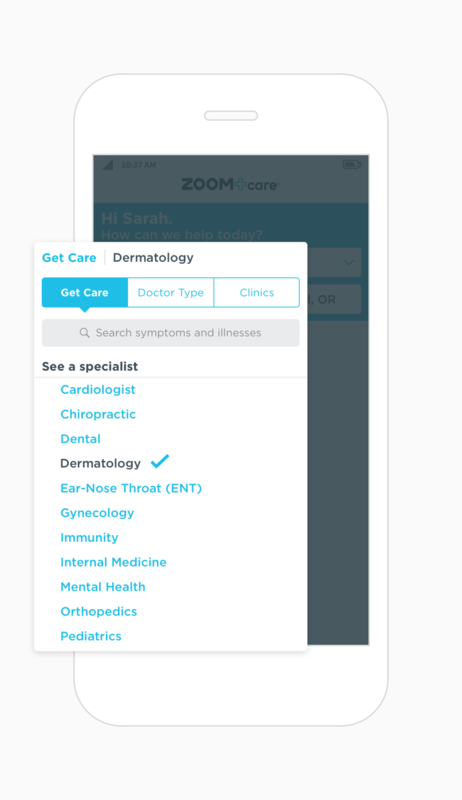 Go to ZOOM+Care Super. 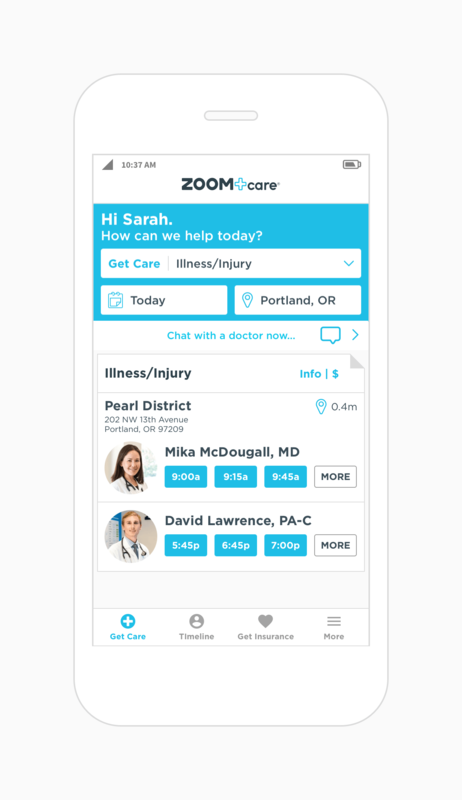 If it's serious but not life-threatening, we'll send you to ZOOM+Care Super. Or go straight there. You'll be treated by board-certified Emergency Doctors equipped with CT, ultrasound, digital x-ray, on-site labs, and much more. Note: We are not an emergency room. If you are having a life-threatening emergency, go to the ER or call 911. Access your health records on the App. "This is healthcare as health promotion." "I’ve seen the future of health care. And I like what I see." 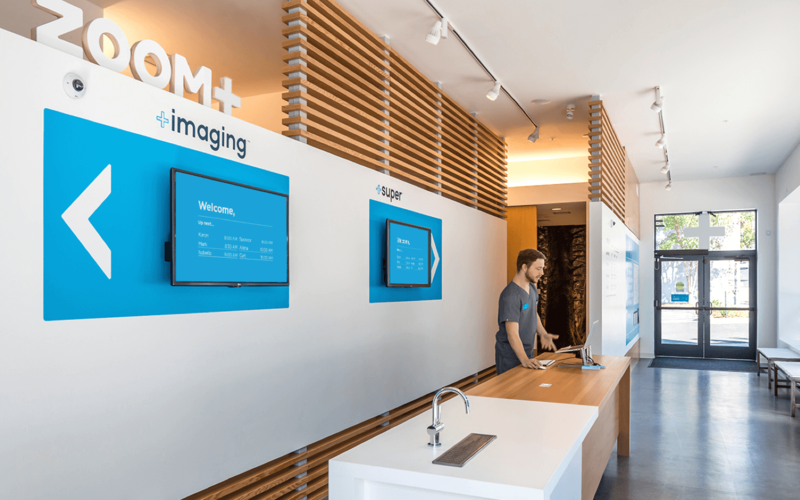 "Oregon's third most admired healthcare company." 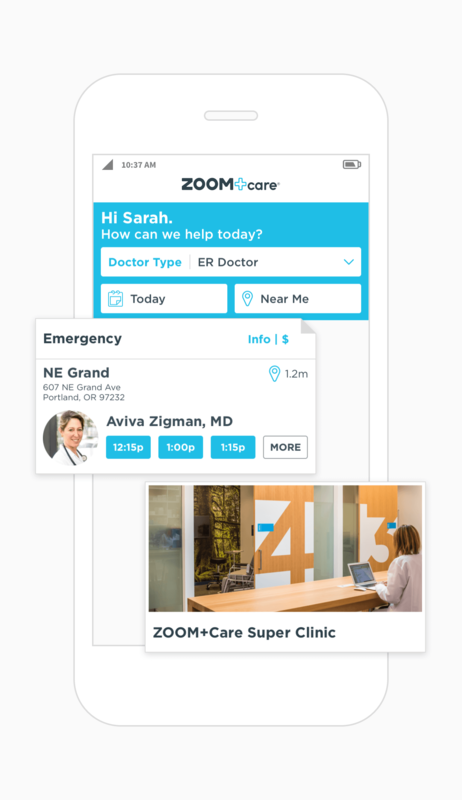 "Fast Company calls ZOOM+ "think different", Apple-style healthcare."